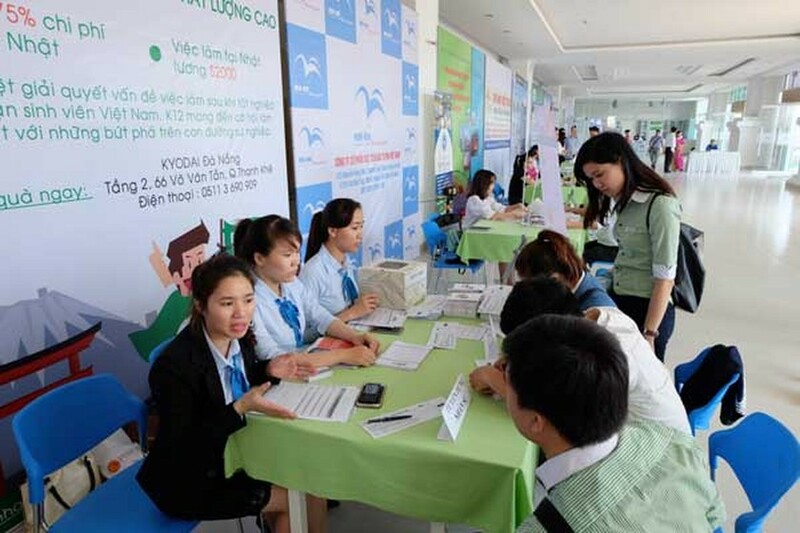 Dong A University in the central province of Da Nang launched the 2016 Japan Job day yesterday. 11 Japanese and Vietnamese enterprises joined the event to recruit 128 candidates. At the event, Dong A University signed agreement with three Japanese companies which plan to recruit 50 Vietnamese students to study & work in Japan. They include HTC Company; MH Vietnam Investment Promotion Company and Digital Ship Company. For the first quarter of 2015, Dong A University cooperated with Nanakamado Institute to send 200 students to Japanese’s Universities. The Japan of Asia pledged to train high quality human resource in Information Technology Sector each year. On this occasion, Dong A University’s leaders signed cooperation with Sacombank Branch in Danang, aiming to support finance for students who are planning to study in Japan.